" nice unit compact very very quiet. ramp feature is great auto mode is great. " " So far after 2 nights it exceeds expectations. The Auto feature is awesome. " Free returns! Purchase this machine and return it within 10 days of the ship date for a refund. Save over $100 on the Multi-Night battery and Solar Panel Charger with the purchase of a Transcend Auto miniCPAP™ Machine with EZEX. Click the Customize & Buy button below to view all battery discounts. 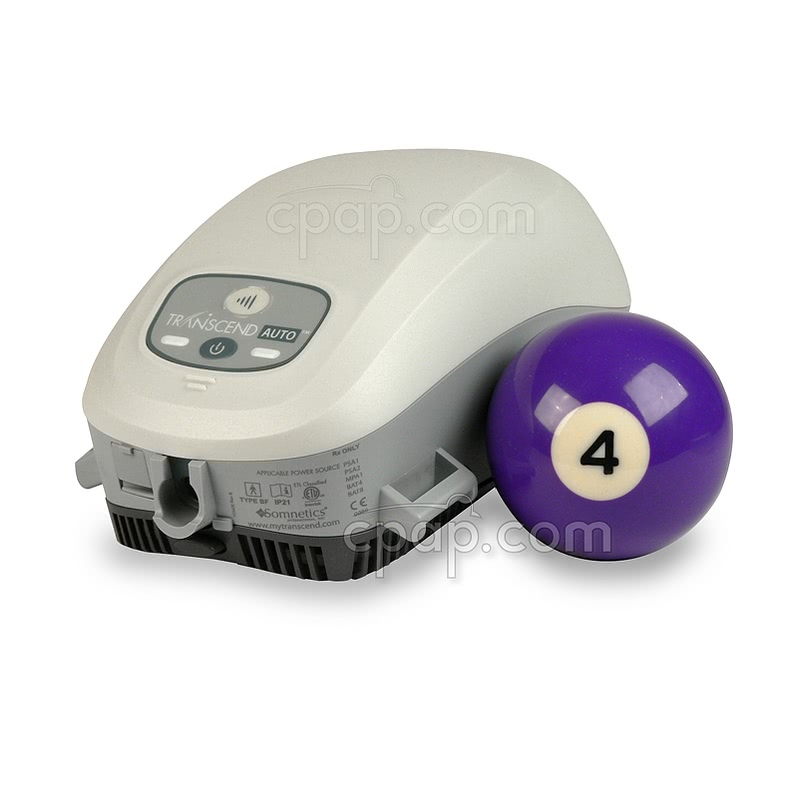 The Transcend Auto miniCPAP™ Machine with EZEX by Somnetics offers big features in a surprisingly minimal package. Many of the features found on bigger and heavier machines can be found in the small, lightweight Transcend Auto. This is an Auto-Adjusting machine with a pressure relief comfort feature that will change pressure on a breath by breath basis during use. The Transcend Auto keeps travel in mind with the inclusion of a power supply which has international plug adapters for use in many countries including the United States, United Kingdom, European Union, and Australia and New Zealand. 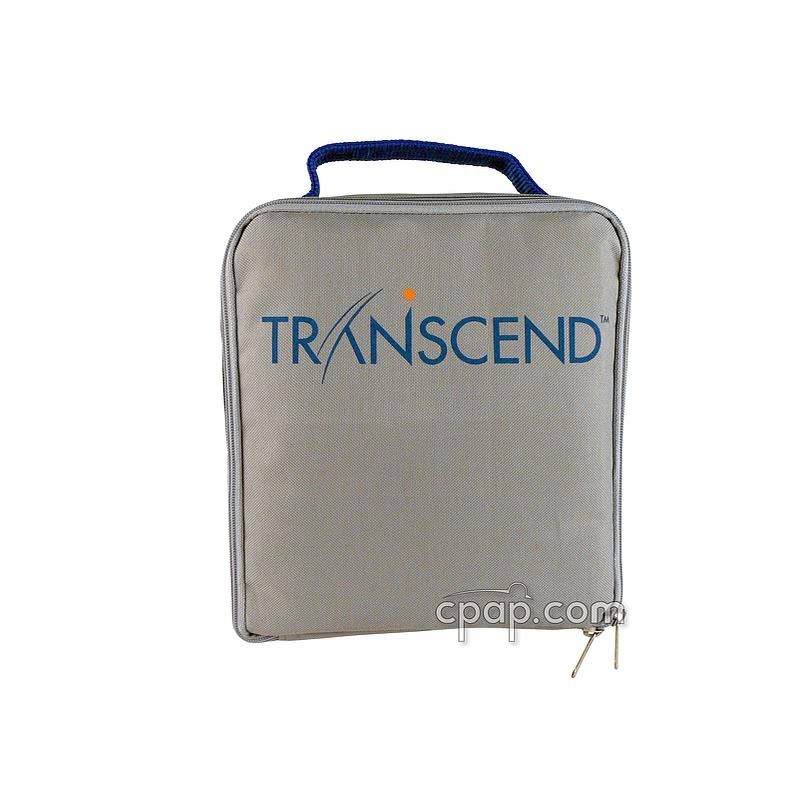 Add in the optional Transcend Multi-Night Battery and the Transcend Auto Travel CPAP is ready to provide a restful night of sleep almost anywhere. The filter frame on the Transcend Auto can be removed with the push of a single button. Once the frame is removed, the separate filter can then be washed or changed as needed. The filter is a foam strip that should be rinsed weekly and allowed to air dry before reinserting. 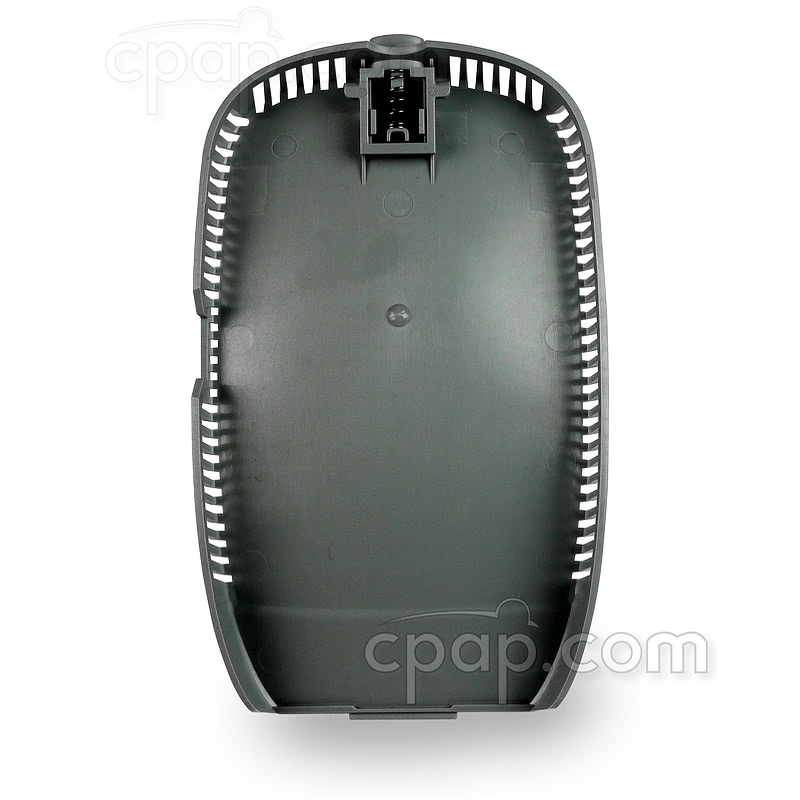 The filter frame of the Transcend Auto CPAP Machine is dark gray. To retrieve the recorded data, the Transcend Auto must be connected to a Windows based computer using the included USB cable. The data can be viewed with the included software and can even be emailed utilizing the "Email Compliance Information" in the Patient Setting screen. 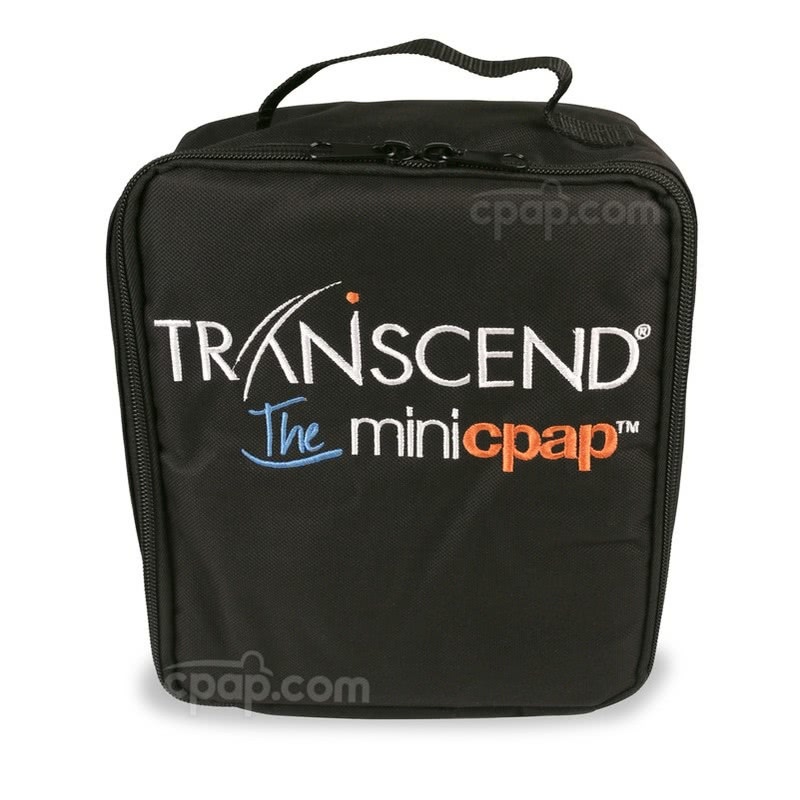 If unhappy after purchasing the Transcend Auto miniCPAP™, contact CPAP.com within 10 days of the machine ship date to receive a return authorization number and free return label! Ship the machine back to us and receive a refund for the machine cost once it is received. The user manuals included with this machine can be viewed and downloaded here: Transcend Auto User Guide and Transcend Software Guide. Universal Hose Adapter May Be Attached To Hose: The Transcend Auto machine includes the Universal Hose Adapter and a 6 foot hose. The manufacturer may package the Transcend Auto with the universal hose adapter already connected to the long hose. If the adapter is inserted onto the machine, the connection may be very tight but the two pieces are NOT permanently attached. They can be separated. To remove the white adapter, leverage it against the rubber hose cuff and twist it off. Universal Hose Adapter Not Used with Humidifier: When using the OPTIONAL Transcend Heated Humidifier the Universal Hose Adapter is NOT used. If the Universal Hose Adapter is on the Transcend Auto, remove the hose adapter prior to inserting the machine into the humidifier cradle. USB Cable: The Transcend Auto IS packaged with an USB cable. The machine must be connected to a computer using the cable to change the settings using a 32-bit PC processor. 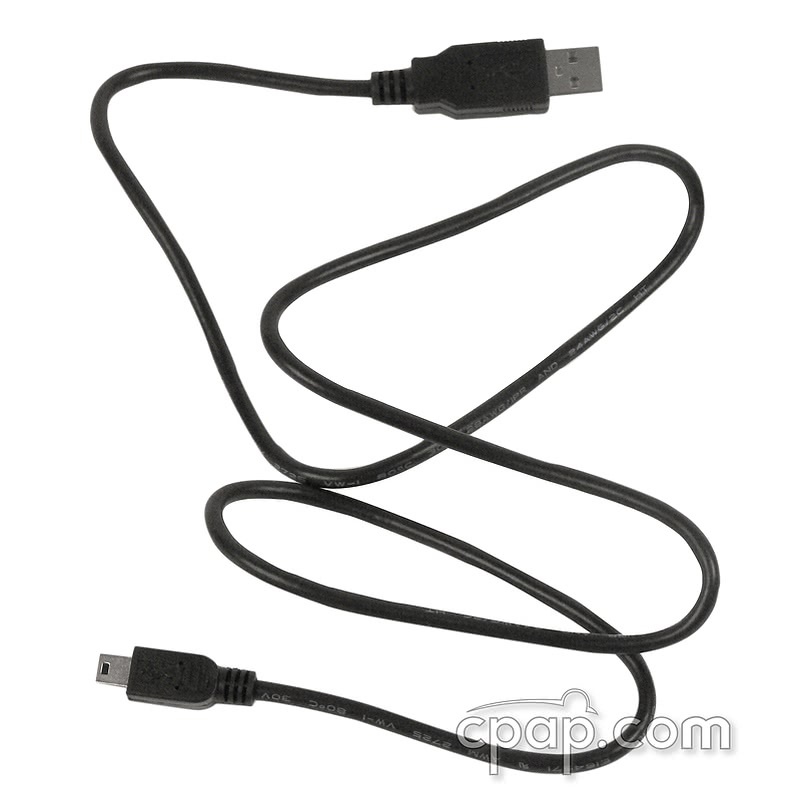 A USB cable with a mini connection on one end and standard connection on the other end can be used for this purpose. 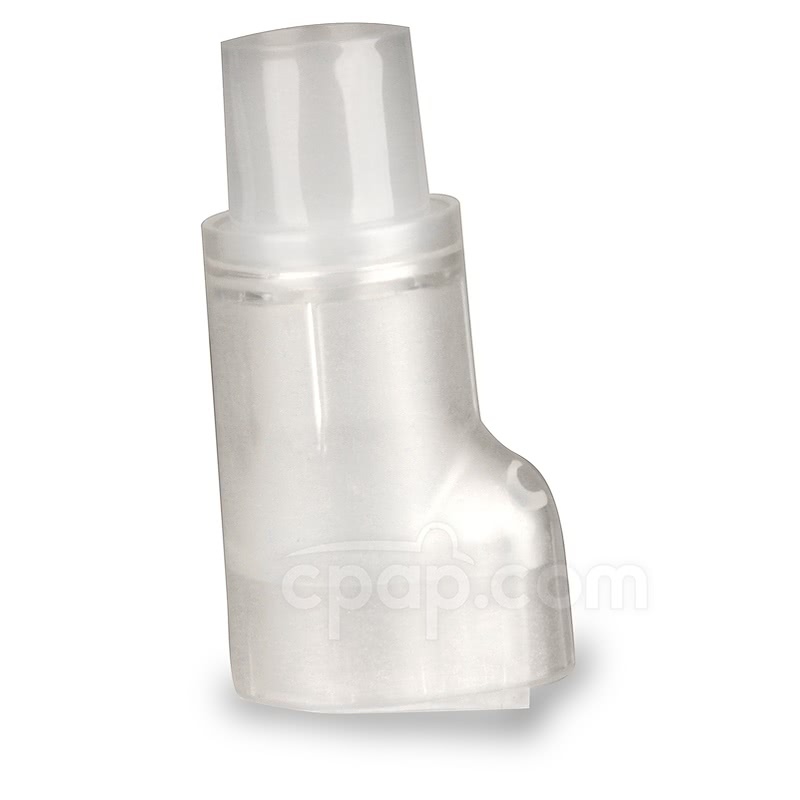 CPAP.com offers this option: 3 ft. USB 2.0 Type A Male to Mini B Male Cable. 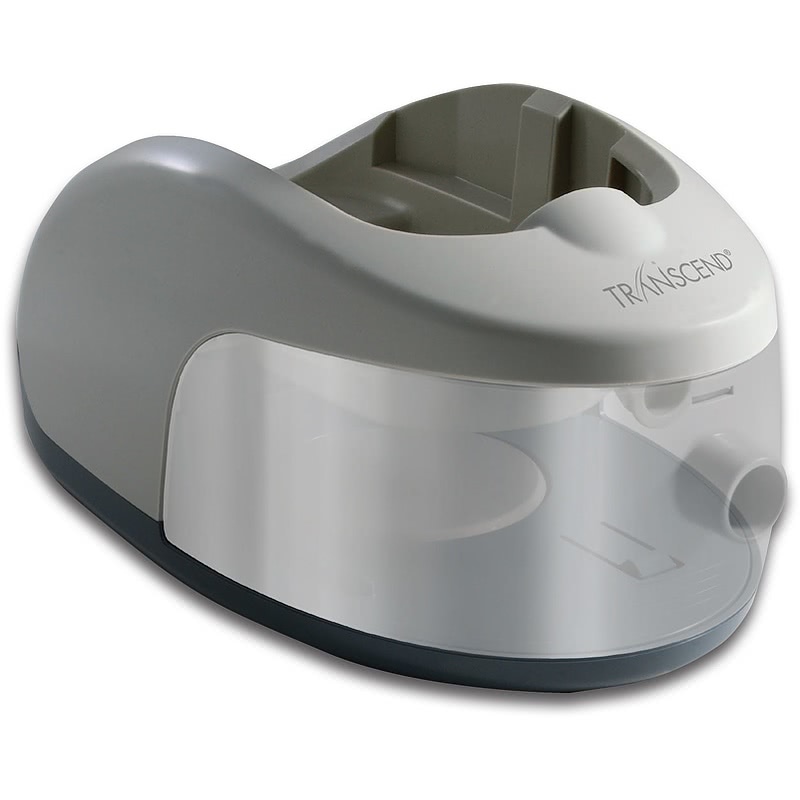 Available Therapy Pressure Range: The Transcend Auto miniCPAP™ Machine with EZEX has pressure range of 4 to 20 cm H2O . The maximum pressure it can deliver is 20 cmwp. The minimum pressure it can deliver is 4 cmwp. 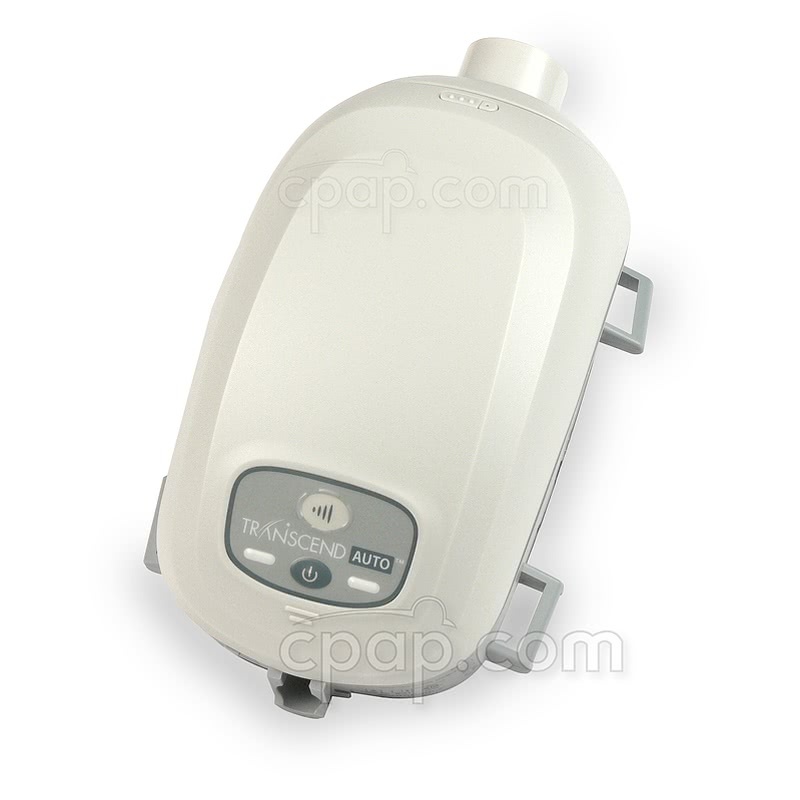 Adjusting or Single Pressure Settings: The Transcend Auto can be set in either an APAP or CPAP mode. When set to auto adjust it will deliver the best pressure during sleep. 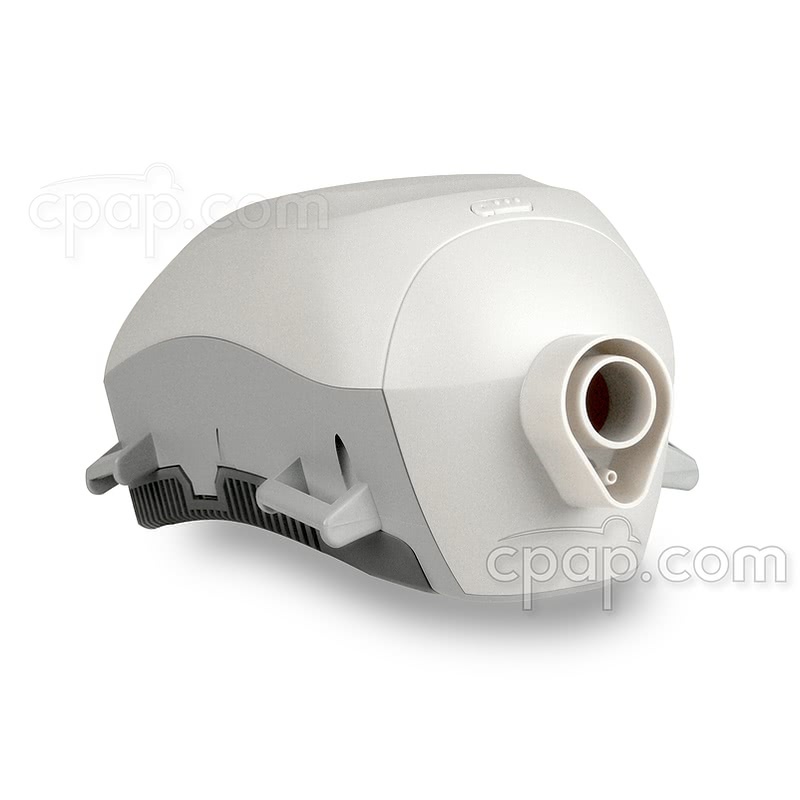 When set as a CPAP it will deliver a single pressure during use. Large Leak Response: When a large leak is detected by the Transcend Auto miniCPAP™ Machine with EZEX the machine will quickly ramp up to a high pressure and then shut off. If this occurs, please check to verify that the Transcend Universal Hose Adapter is installed correctly. The hose and pressure line ports on the machine must be fully connected to the Hose Adapter to avoid pressure loss. 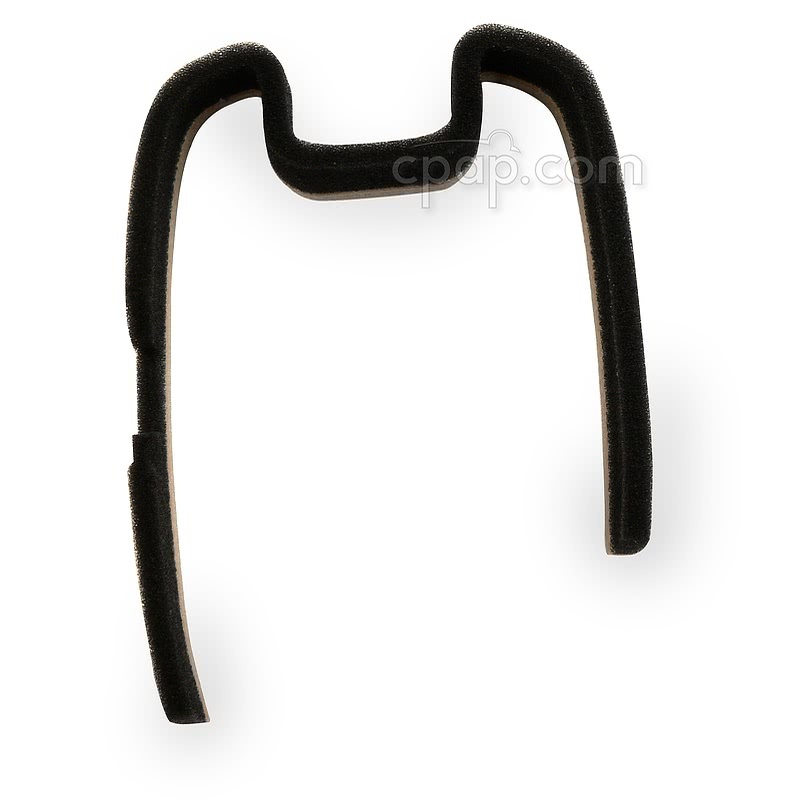 The pressure line port must be firmly seated into the tear drop shaped area on the adapter. If the issue is not corrected, check to be certain the mask and hose have a secure connection. Further, ensure the mask is adjusted properly to provide a good seal on the face. Power Supply Design: Prior to Fall of 2013, the power supply included with the Transcend line of machines was made of only two parts - the power supply and cord and did not offer the multi-country adapters. The connection to the Transcend machine is unchanged between the two design versions. Filter Frame Design: The Transcend Auto has an updated filter design. 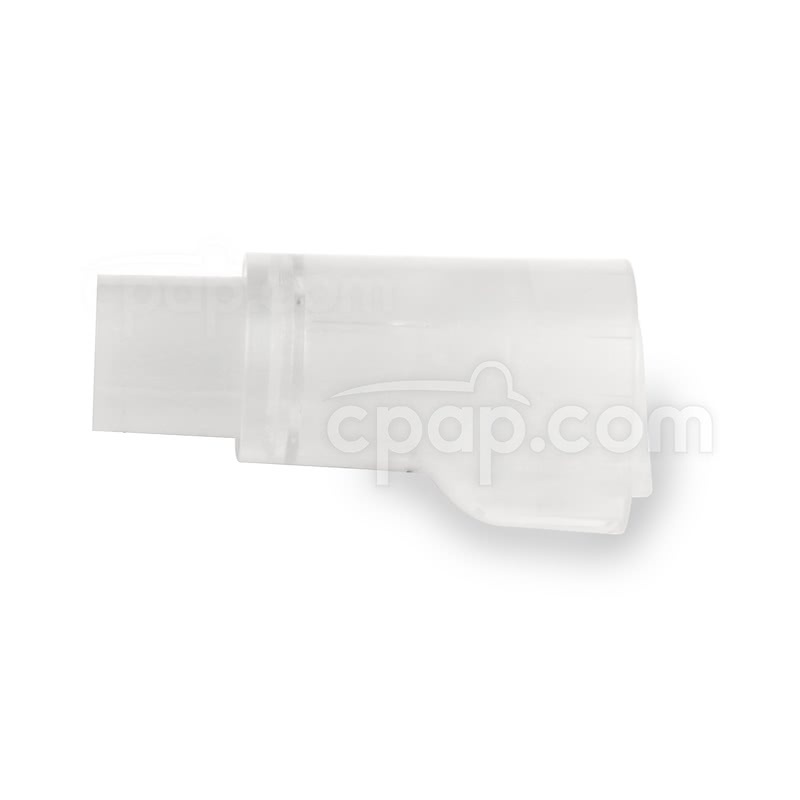 It allows the filter media to be replaced without replacing the entire plastic piece. 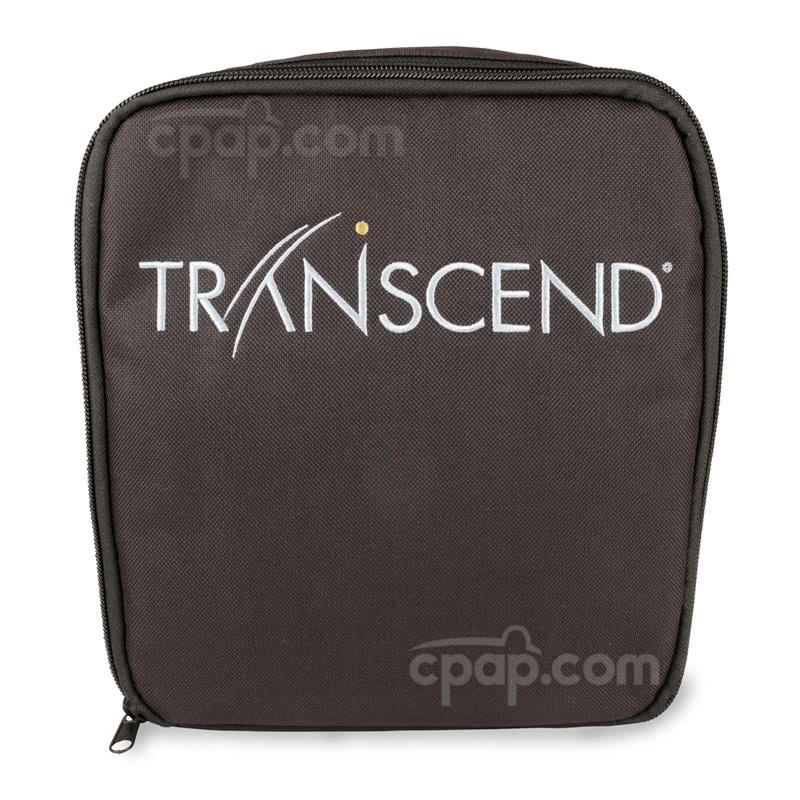 The dark gray base of the Transcend Auto machine is the filter frame. Use the push button to release the filter frame from the bottom of the machine. The washable foam filter media can be changed and the plastic filter frame replaced on the machine. Earlier versions of the Transcend used an air inlet filter which had filter material permanently attached to the plastic frame that was removed with a release latch. The old style filter with release latch and permanently attached foam filter strip will NOT work with the Transcend Auto. Please Note: In a situation where a power outage is expected but not certain, the battery can be used as a failover. While AC power is available the battery will not lose life cycles." Although the Transcend Auto miniCPAP has a low decibel rating of 26.6 dBA, some users report a noticeable pitch from the machine's motor, which may be a result of its reduced size. Unlike larger machines, smaller travel CPAPs have less internal room and components to absorb the sound of the motor. 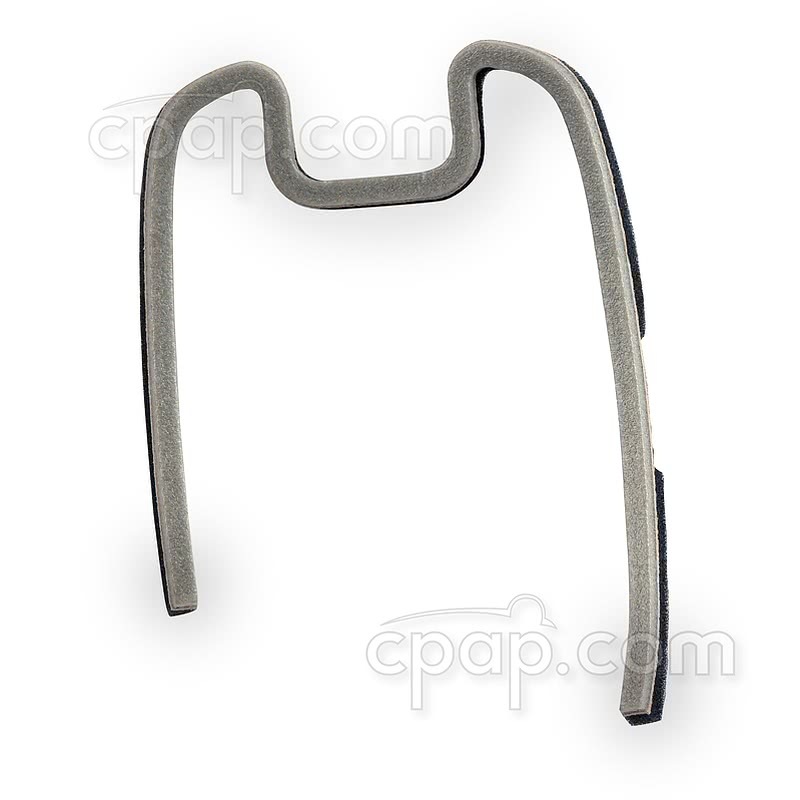 To help reduce the sound of the motor, consider adding the Q-Tube In-Line CPAP Muffler Kit to the device. 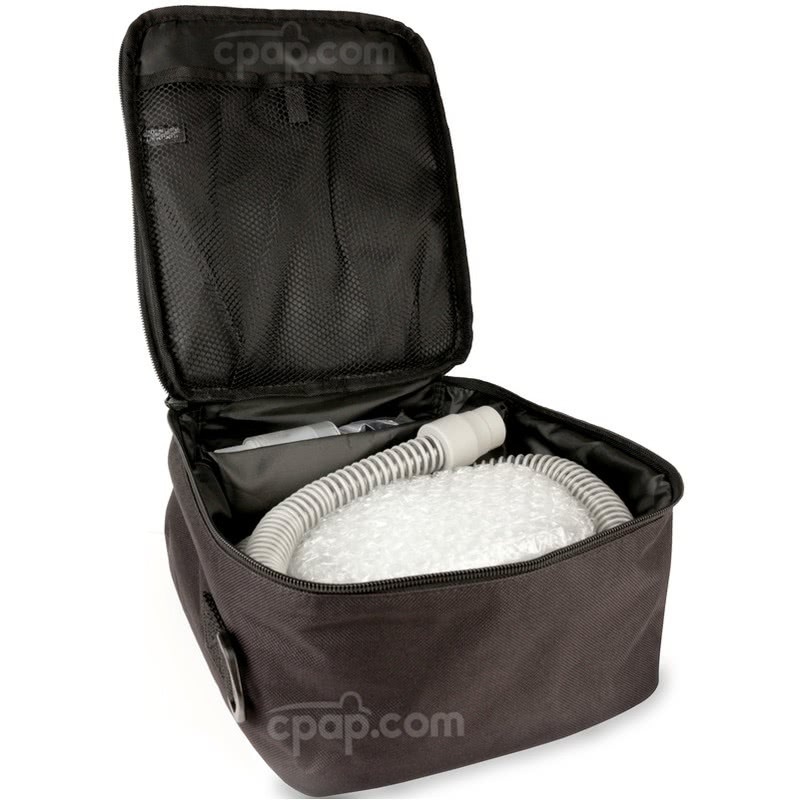 The Travel Bag for Transcend CPAP Machines included with the machine is designed to carry the machine, hose, power cable, and some mask types. The bag can accommodate nasal pillow masks and nasal masks. A full face mask and total face mask will not fit in the bag. 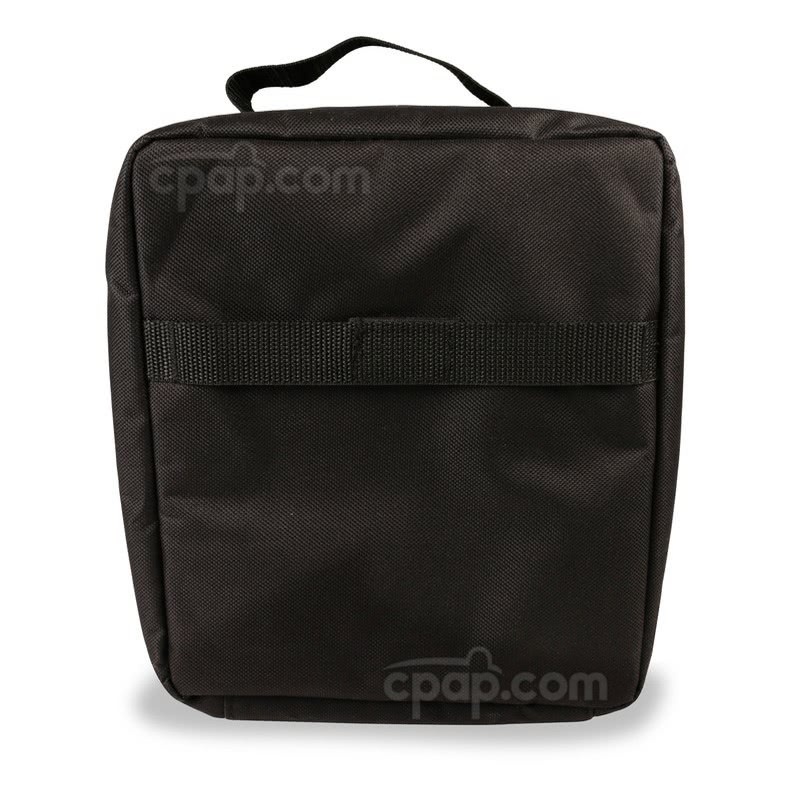 The optional Transcend Heated Humidifier WILL NOT fit in this bag. The larger Travel Bag for Transcend Machine and Heated Humidifier must be purchased if planning to travel with the humidifier. 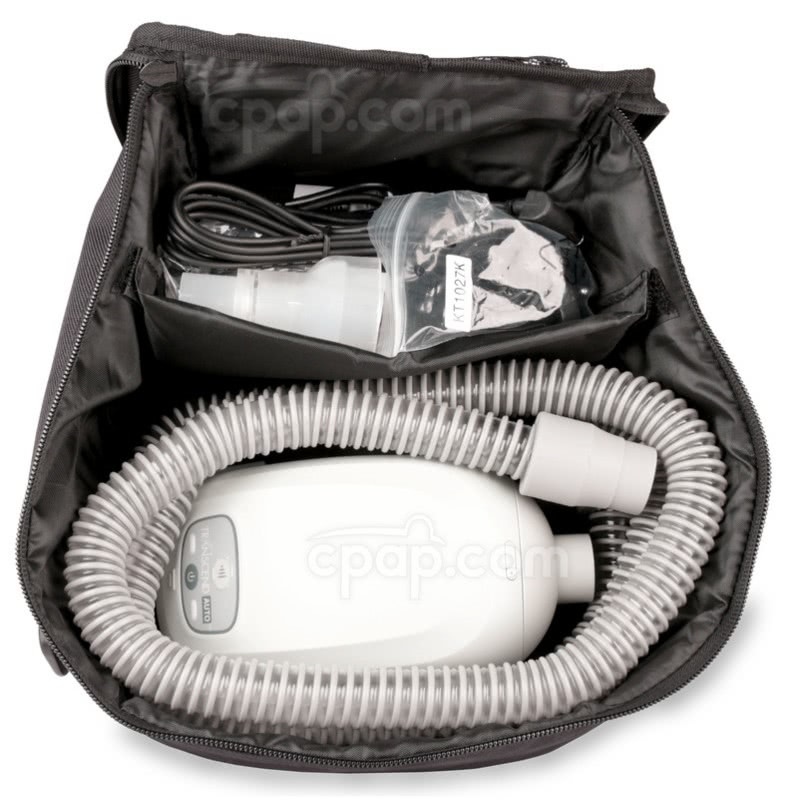 The Transcend Auto miniCPAP™ Machine with EZEX includes the Universal AC Power Supply with Adapter Plugs. 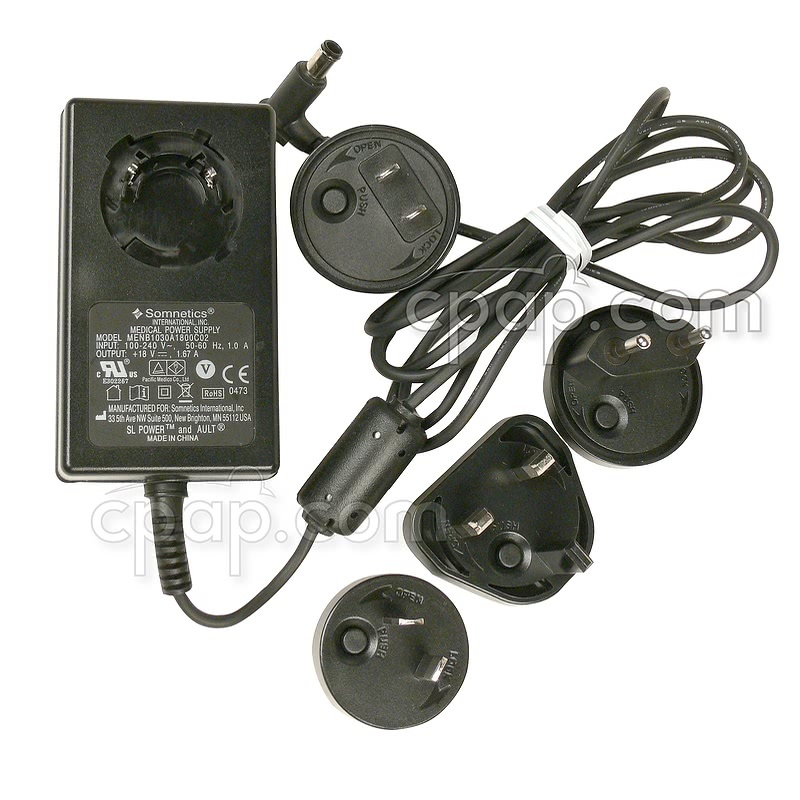 Included with the power supply are plug adapters for use in the United States and overseas. Somnetics, the manufacturer of the Transcend Auto offers the optional Transcend Multi-Night Battery to use the machine when AC power is not available. Per the manufacturer, due to the fluctuating pressure associated with an auto-titrating machine, an estimated battery run time is not available when the machine is set in auto mode. However, when used with a machine set to a single pressure setting of 10 cm h20 the battery provides power for approximately 15 hours of continuous use. Somnetics reports their testing showed little difference in battery run time with or without the EZEX feature active. PLEASE NOTE: As with all batteries of this type, it must be fully charged before the first use. PLEASE NOTE: In order to use the Freedom Travel Battery with this machine, the 150 W Sine Wave Inverter must be used. The optional battery allows the Transcend Auto to be set to automatically switch to battery power in the event electricity goes out. 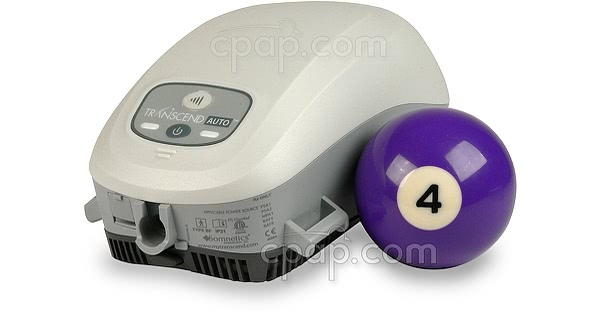 When hooked up in series with the machine and wall power, the battery will charge even when the Transcend Auto miniCPAP™ Machine with EZEX is in use. The optional Transcend Portable Solar Charger will re-charge the Transcend Battery using the energy of the sun. The solar panel is small and lightweight. In optimal conditions with direct sun, the Multi-Night Battery will charge in approximately 12 hours. The Mobile Power Adapter can be used to plug the Transcend Auto into a standard DC power supply. 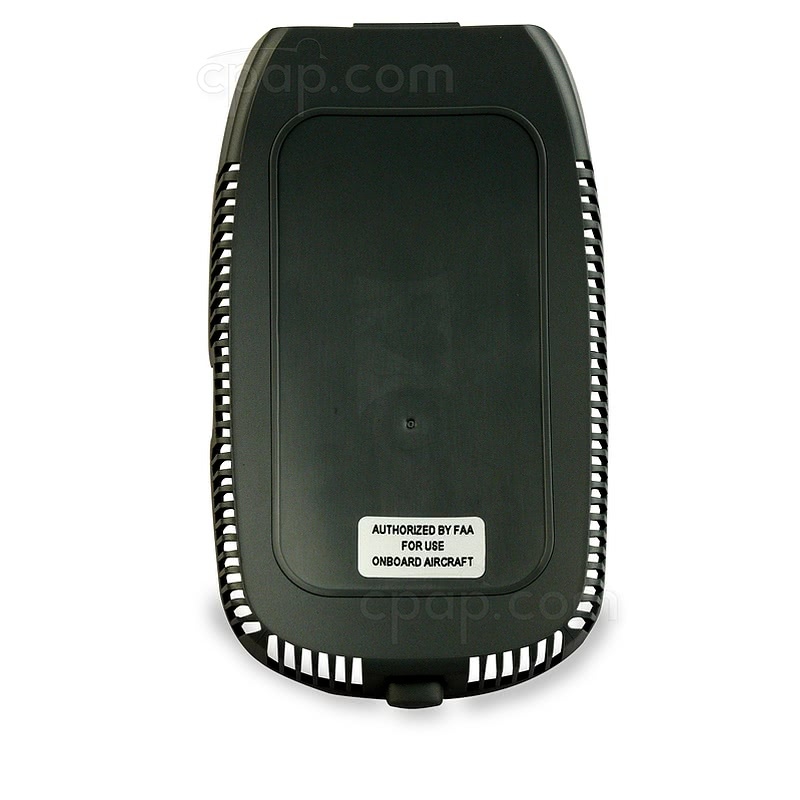 The mobile adapter can be used to power the Transcend Auto throughout the night without draining the vehicle's battery. Per the manufacturer, the Transcend batteries each have an average life span of 300 charging cycles. The manufacturer provides the following information regarding the run time for the batteries starting with a full charge when using a pressure of 14 cmwp. The manufacturer notes the run times are dependent on altitude, temperature, leak rate and breathing pattern of the user. Higher pressure settings will decrease battery run time.